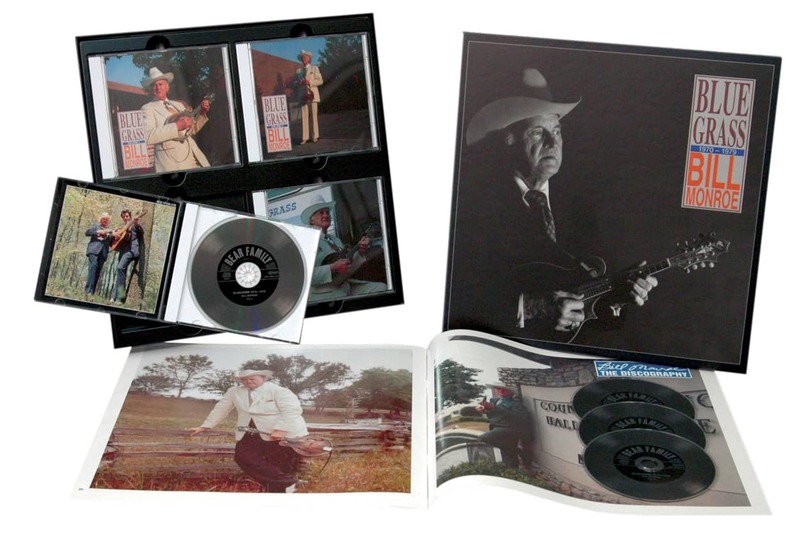 4-CD boxed set (LP-size) with 52-page book, CD 63 tracks, playing time approx. 194 mns. DVD 30 tracks, playing time approx. 92 mns. 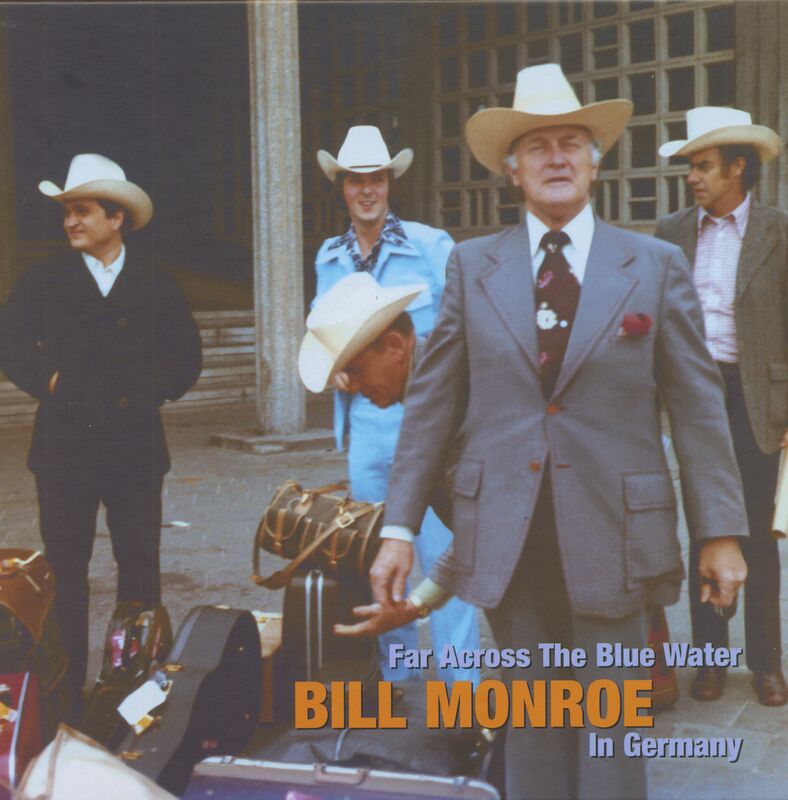 In 1975 and 1989, Bill Monroe and his Blue Grass Boys came to Germany. 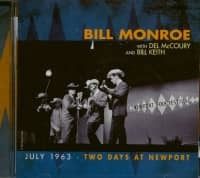 For European fans, these were two rare chances to see the Father of Bluegrass Music in person, and Monroe did not disappoint anyone on either occasion. In fact, the presence of so many ecstatic fans spurred Bill Monroe and his band to give unsurpassed performances. 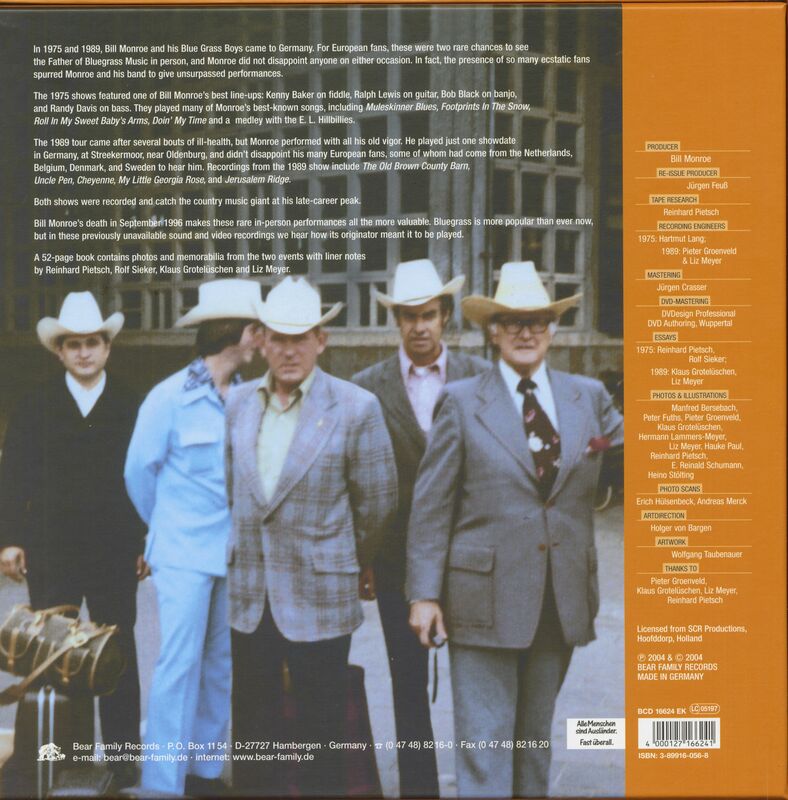 The 1975 shows featured one of Bill Monroe’s best line-ups: Kenny Baker on fiddle, Ralph Lewis on guitar, Bob Black on banjo, and Randy Davis on bass. They played many of Bill Monroe’s best-known songs, including Muleskinner Blues, Footprints In The Snow, Roll In My Sweet Baby's Arms, Doin' My Time and a medley with the E. L. Hillbillies. 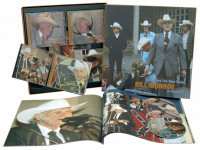 The 1989 tour came after several bouts of ill-health, but Bill Monroe performed with all his old vigor. He played just one showdate in Germany, at Streekermoor, near Oldenburg, and didn’t disappoint his many European fans, some of whom had come from the Netherlands, Belgium, Denmark, and Sweden to hear him. Recordings from the 1989 show include The Old Brown County Barn, Uncle Pen, Cheyenne, My Little Georgia Rose, and Jerusalem Ridge. Both shows were recorded and catch the country music giant at his late-career peak. William Smith Monroe was born on September 13, 1911 near Rosine, Ohio County, Kentucky. His older brother Charles had been born on July 4, 1903. Bill was the youngest child of the eight children born to Malissa Vandiver and James Buchanan 'Buck' Monroe, a local farmer, coal miner, and timber cutter. Rosine was far from the rugged mountains of eastern Kentucky, but was set in the rolling hills of the western end of the state, about 30 miles from the Ohio River. Young Bill, like the rest of his family, grew up doing hard physical chores on the family's 653-acre farm -- an experience that instilled in him a work ethic that would dominate his life. The Monroe children relaxed with music. Buck Monroe was an especially fine flat-foot dancer, often featuring a dance called the 'Kentucky Back-Step,' and three of the sons--Birch, Charlie, and Bill--would later begin their careers by doing such dancing on stage. The brothers learned music from their mother, who sang the old classic ballads; from their Uncle Pen Vandiver, who was the region's best-known square dance fiddler; from the shape-note singing schools local churches and travelling teachers held in the summer; from local black musicians like Arnold Shultz, who played a blues-tinged thumbpicking guitar style; and from the stars of Chicago station WLS's 'National Barn Dance,' such as Mac and Bob, blind musicians who used mandolin and guitar; and The Prairie Ramblers, a hot string band from western Kentucky that featured a mandola. Bill --along with thousands of others-- also admired the Victrola records of Vernon Dalhart, Jimmie Rodgers, and Bradley Kincaid. It was the younger of the Monroe children who became most involved with the music. Older brother Birch took up the fiddle, and Charlie and sister Bertha began playing guitar. 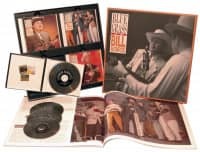 When Bill was eight or nine, he began fooling around with instruments, mainly the guitar and mandolin; he really wanted to specialize in the fiddle or guitar, but as the youngest and smallest he was stuck with the mandolin in the family music sessions. In later years, Bill liked to tell about how his brothers would only let him use four strings on the mandolin (instead of the usual eight) so he wouldn't sound too loud. 1921 Malissa Monroe died and it was several years after this that Bill started playing music seriously. He began by playing guitar backup for his Uncle Pen at dances, and later spoke of Pen as "the fiddler that I learned to play from." He also began to play dances with Arnold Shultz, a local black guitar player who was comfortable playing the blues, traditional Anglo tunes, pop music, and even jazz. (Friends of Shultz recall that he used to spend winters in New Orleans, where he picked up a fondness for 'passing' chords.) 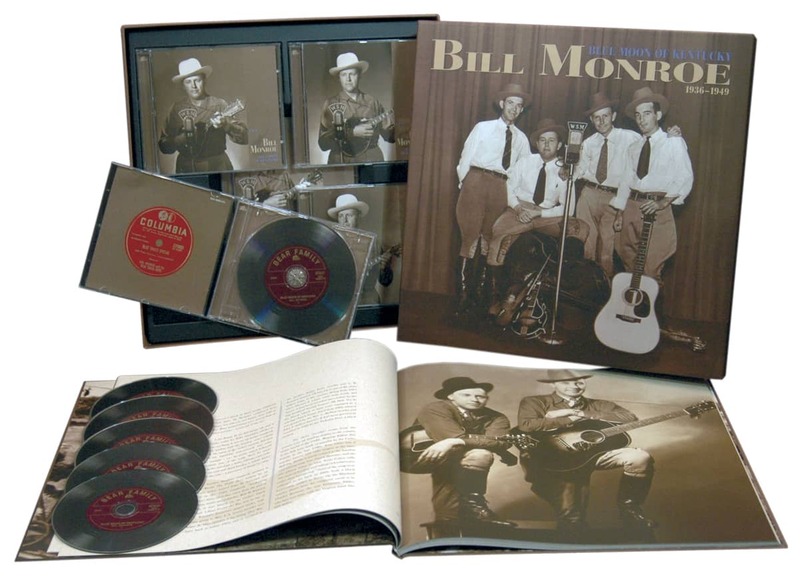 In 1927, when Bill was only 16, his father Buck Monroe passed away as well, and since his older brothers and sisters had already moved away, he was sent to live with his Uncle Pen. Bill continued to learn music from him. Birch and Charlie Monroe, like so many young men in the late 1920s, had left the farm and gone north to work in the new factories supplying the auto industry. For a time they were in Detroit, and then moved to the East Chicago area, first to Hammond and then to Whiting, where they found jobs in oil refineries. Around 1929 Bill, who was now 18, came north to join them. His first job was working in the barrel house at the Sinclair refinery in which he moved huge, heavy drums of oil all day long--something that built his physique up to that resembling a weight lifter. It was a bruising job, but with the Depression hitting, it was the best available; Bill kept it for five years. Some of his brothers who had 'lighter' jobs were often out of work during these years, leaving young Bill as the sole support for parts of the family. Customer evaluation for "Far Across The Blue Water (4-CD & 1-DVD mit 52-seitigem Buch in LP-Format)"